Summary from Goodreads: Stop the Magician. Review: An epic time traveling magical ride. Lisa Maxwell has done a wonderful job of melding current time New York with the rough and tumble New York of the past. 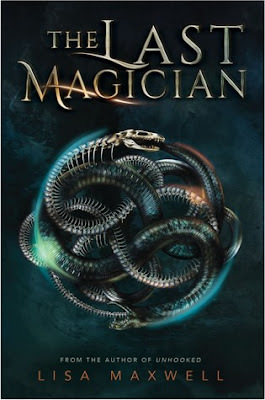 I really enjoyed the magical elements, and the magic shows strewn throughout the story. Its not just about the magic shows though, there is a fantastic thriller intertwined within. I was sucked into the world of The Last Magician as we followed Esta on her journey to steal a magical book and somehow get back to the future.